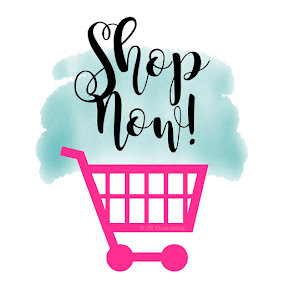 Just wanted to post a reminder that today is the LAST day to order anything from the Stampin' Up! mini catalog. 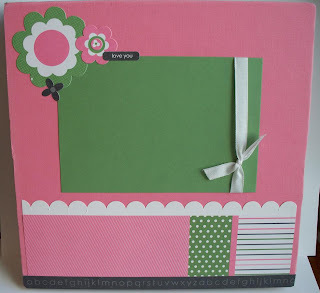 (Tart and Tangy stamp set, Summer Picnic paper, and the list goes on of fabulous things in that mini!!!) Also, it's the last day to take advantage of the Fresh Cuts Sneak Peak promotion and the eScape Bundle promotion. (See my side bar for more details.) Also, not much time left to order any of this year's In Color Accessories! Email me at designwithink@gmail.com if you have any questions or would like to place an order. 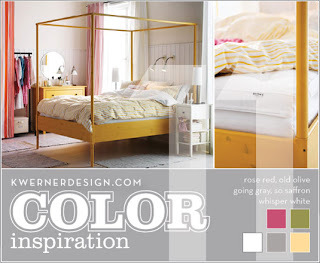 Time for another Color Inspiration Challenge. I really think these are so much fun. And I have to say that this card turned out like NOTHING I was going for. I kept having ideas in my mind then realizing what I needed was upstairs (I had a class last night) or I couldn't find in the mess of my stamp room (which I am sure some of you understand) or I just changed my mind. So...this is what it became. It's fun to make cards like this, I think. Hope you enjoy! Well...here are a few pics of our spot at the Farmer's Market. This was in the beginning...before we had everything set up how we really wanted it. But you get the idea anyway, right?! We were in the PERFECT spot. We were right by a big tree, so we had shade in the 100 degree weather all day, with the exception of the last 20 mins or so. It was GREAT! Hey there! I am SORRY that I haven't posted anything new in a few days. Still recovering from our busy Saturday at the Farmer's Market. :) We had a great time and it was a success. We met some great people, sold more than we thought we would, and just had fun. We will be back there on the 5th of July. But I will post new things tomorrow! SORRY! Hope everyone had a great weekend! I have to say...I love the 3x3 size. They are so much fun to make! 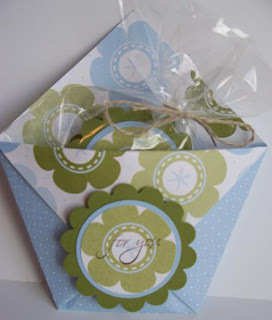 And I love taking pieces leftover after I've made a project with a Simply Scrappin' Kit and making this size card. 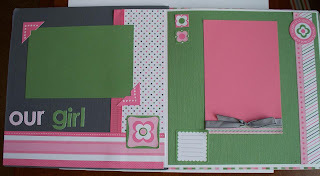 Like I did HERE with the Crew Kids Girl Simply Scrappin' Kit. 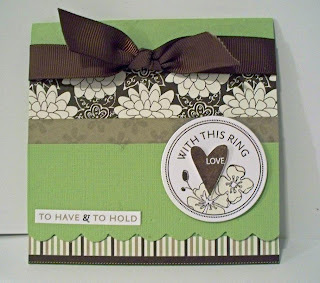 Anyway...so here is the same idea, done with the Tie the Knot Simply Scrappin' Kit. (Seriously...these kits are AWESOME! I do SO MUCH more than just scrapbook with them!!!) Sorry the photo is a bit blurry though! More things for the Farmer's Market! This is what my life has consisted of lately. I love these origami cups. They are fun to make. And then I put a York Peppermint Patty inside, sandwiched between two of the same scallops that are on the front. Here an up close and personal picture of each one. 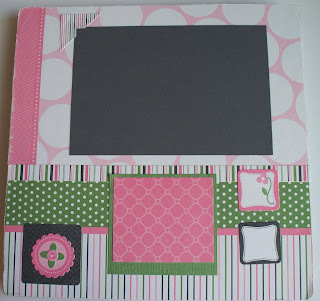 So after my 9x9 Tabletop scrapbook was done, I wanted to use up some of my leftover pieces. So I cut some white cards, 3x3 size, and went to town. It was fun, and again...I LOVE this color combo! These cards are bright and cheery in real life. I hate taking pictures at night because I don't have that natural light that makes photos so much better! :) So here are a few different views of the same cards. Enjoy! So my friend, Kristine, and I actually got accepted to have a booth at the Salt Lake City Downtown Farmer's Market this year. (What were we thinking?!) So we both are going crazy trying to get things done in case people stop by our booth and want to buy something. 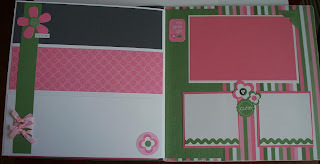 :) I made a tabletop scrapbook today. These things are GREAT and I love them!!!! 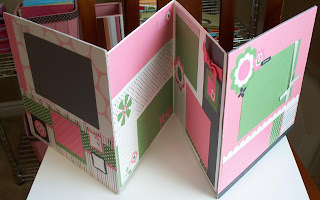 And since you can get two out of one scrapbook kit and one package of the Large On Board Book Basics....I made two with the Crew Kids girl scrapbook kit. I LOVE LOVE LOVE this kit. The colors, the style, EVERYTHING! I will be SO SAD when it isn't in the next catalog (because it has Wild Wasabi in it). Better have fun with it while I can. Sorry for the many pictures...it's a big project! :) And I wanted to give you closer up pics so you could see each page. Retirement List is HERE!!!! With a SALE!!!! Big news today!!!! 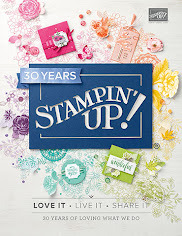 As I'm sure you're aware, before Stampin' Up releases their new catalog, they always release a list of the stamp sets that are retiring and won't be available any more. Well, IT'S HERE!!!!! So I'm posting the links to the retired list. And what's a big release without a big sale accompanying it?! As a thanks to all of you from me, from now until June 25th I am offering my own sale to you!!! For every stamp set on the retired list that you order, you can take 20%** off ANY other stamp set (equal or lesser value) either on the retired list, in the big catalog, or in the mini catalog!!!!! 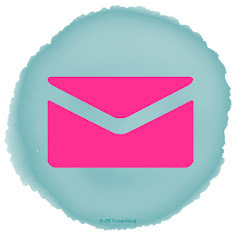 So figure out what you can't live without and send me an email! **Shipping and Tax will be calculated on the merchandise amount before the discount. This next class is absolutely ADORABLE! Looks much better in real life even! 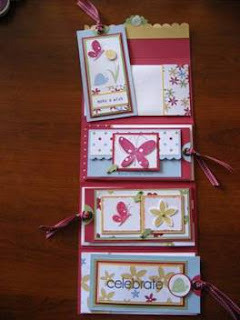 :) Perfect for your own gift giving or for giving AS a gift – this unique Card/Tag Birthday Card Set is perfect. 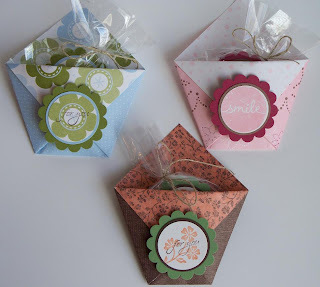 The organizer folds downwards to reveal these four 3 ¼" x 6 ½" birthday card "tags" in their decorated envelopes. The envelopes are attached to the inside of the card holder with perforated edges– when you're ready to give a card, simply tear away the decorated envelope on the perforated edge and attach it to your gift! 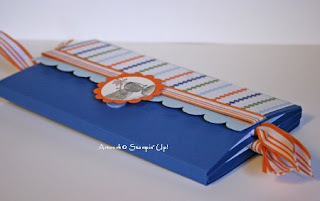 Each birthday card "tag" opens in a different way. 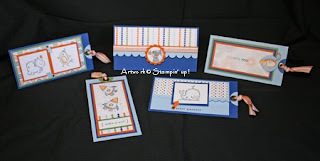 I will have four stamp sets available for this project – Garden Whimsy, Wild About You, Pun Fun, and Prehistoric Pals. Please let me know if you have any further questions! Look forward to seeing you there! Email me at designwithink@gmail.com to order a kit(s) or to let me know any questions you have! This was the second project we did at club this month. I got this card from SCS by stampinjules951. 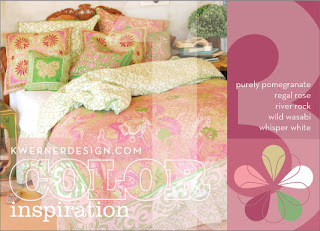 I loved it...so just changed the designer series paper and colors. It's actually very similar to the other strip card I made just a few posts ago. I actually didn't end up doing the Wild Wasabi ink distressing around the white. I liked it better without. But I happened to take a picture of it with, so I guess you get to see that! 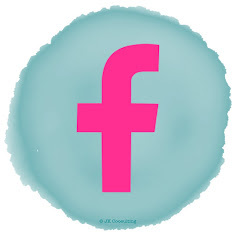 All supplies Stampin' Up! So tomorrow is club day again, and I am posting one of our projects that we're making. 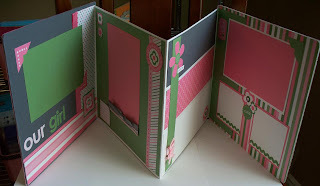 This is a tag accordion mini scrapbook/card. Not the best pictures, I'll try to take better ones later. I was prepping for my next class using Jersey Shore paper (I'll be posting that soon, no worries) and had a few strips left over. So I thought I'd put a card together real quick. This didn't turn out how I pictured in my head, but it is what it is. :) But just wanted to give an idea on what you can do with all those left over strips. Enjoy! 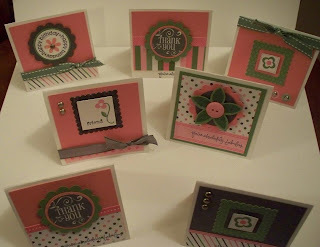 Ok...so I haven't had a ton of time to make a bunch of new stuff in my stamping room lately. My downline, Kristine, and I are doing a booth at the Salt Lake City Farmer's Market. So any spare time I've had in my stamping room I have been using to try to get ready. 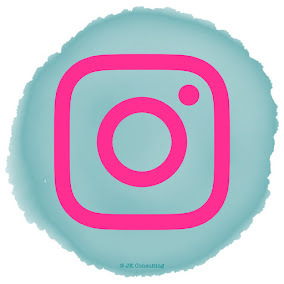 Anyway: I wanted to share something new to my blog though...so here you go! 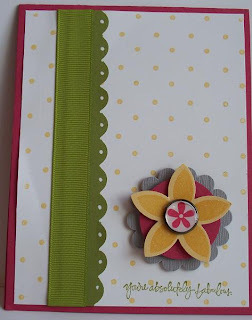 This is a card I made a long time ago using "faux" buttons. 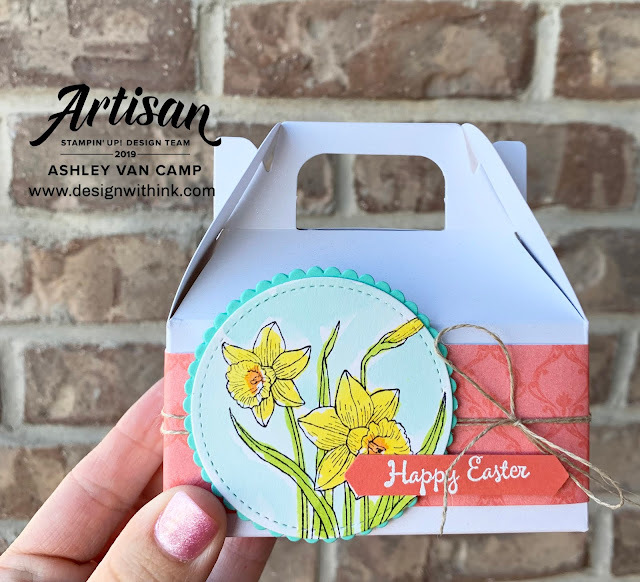 They are oval and circle punches, then use a paper piercer to punch 2 small holes in the bottom, draw a line using my white gel pen, and voila! Faux button. Down the side, there is faux stitching as well. :) Enjoy! I saw this fabulous project on Dannie's blog. I thought it was a FABULOUS idea. 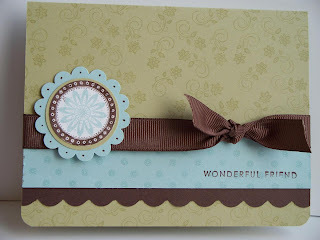 It is similar to something I have made before, but I loved the idea of just make postcard style cards. Makes it very simple to send a cute note in a lunch bag, in the mail, put in my husband's briefcase, etc, etc. 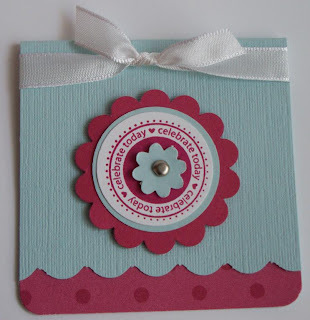 So I had to make one using Afternoon Tea paper and the Live Your Dream stamp set. These go away after this month, so have to use it as much as I can! 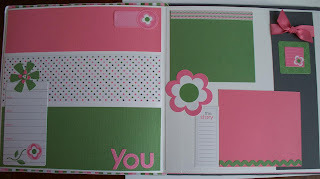 :) I LOVE that paper and stamp set! I'm sad that my pictures came out so crappy because it really is quite cute in real life. :) Enjoy! 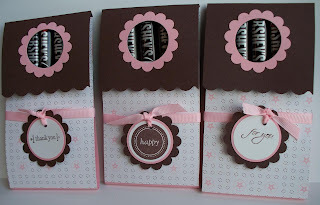 All Supplies Stampin' Up! I guess I couldn't put down the Bud Basics stamp set. 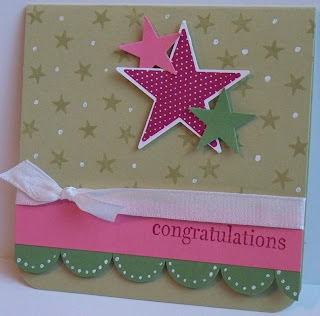 :) Splitcoast Stampers has a great tutorial today...Diagonal Double Pocket Card. When I saw it, I had to try one. And I've been in the mood for blue and brown. This is definitely NOT my fave card. I can't say I really like it right now. Maybe with time as I look at it more it will grow on me. I still thought I'd share it though. Enjoy! I'm SO SORRY that I haven't posted anything in FOREVER. From being out of town, to being sick, to throwing my daughter her 2nd Birthday party, to having ALL sorts of responsibilities fall in my lap at once....I just haven't been able to find time to post things!! Gasp! The horror...I KNOW! :) I'm deeply sorry and hope to resume to my normal schedule now. I just had a few moments to spend on making something tonight, so I just made a quick 4 1/4" square card. 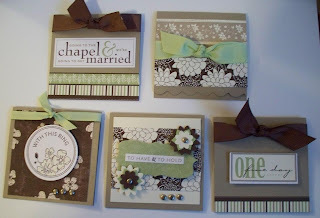 Can I tell you HOW MUCH I LOVE the Simply Scrappin' kits?! 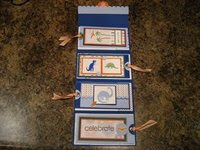 This card is made with leftover pieces from the accordion scrapbook I made my hubby for our anniversary posted HERE. It's AMAZING how much you can get out of one kit...and after all I've made (that whole scrapbook, a few cards, etc, etc.) I've only used 1/2 of the kit!!!! They just go so far it's amazing! I always feel like they multiply in the night when no one is in this room. Anyway: enough of that...they are amazing! If you haven't tried them...do so now! :) I hope you enjoy this card. Just a simple wedding one. It's that time of year, I guess! Hope you enjoy!